270. Jun 10, 2005. 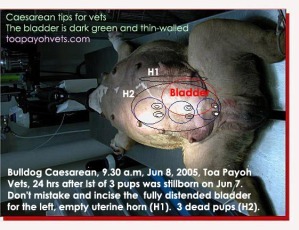 Skin incision to be careful as the skin is less than 3 mm due to over-distended abdomen with 8 pups. Bladder may be below. Uterine horn popped out from the first cut. 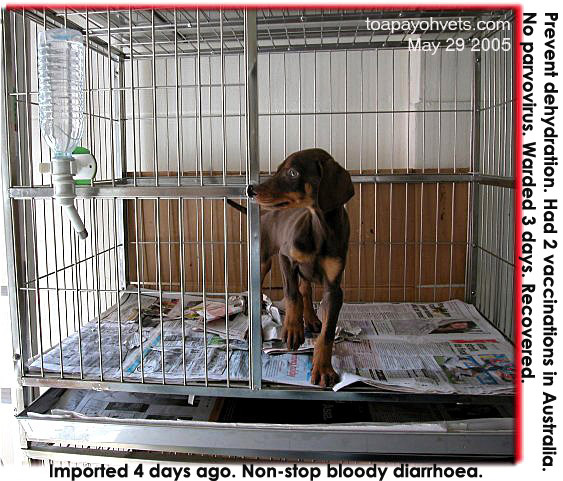 No hope for the puppies? 269. Jun 8, 2005. 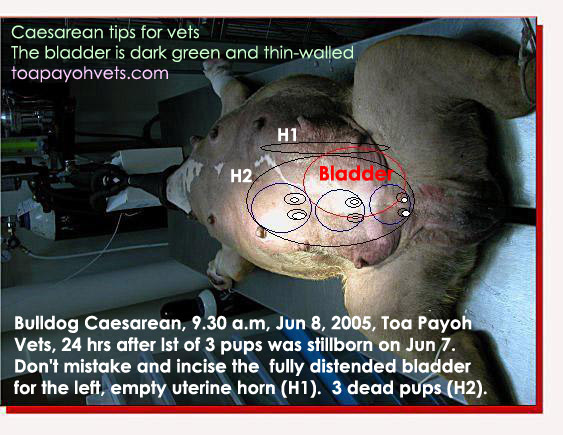 If you want a small incision (7 cm), be careful that you don't mistake the bladder for the left uterine horn. 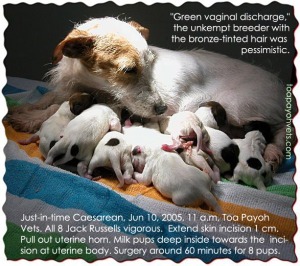 It is fully distended with urine. The 2 horns are pinkish and thick walled. 268. Jun 4, 2005. 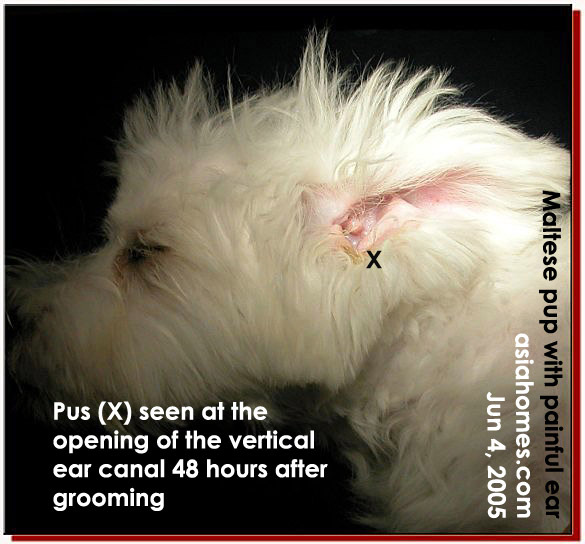 Pain and swelling in ear canal after grooming. 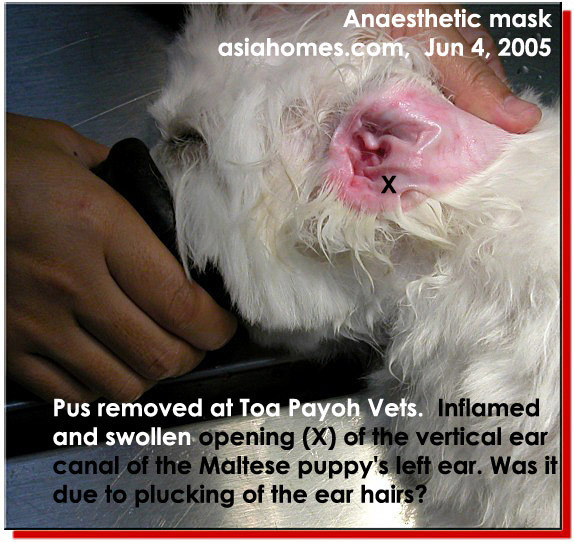 Ear pus removed under anaesthesia. 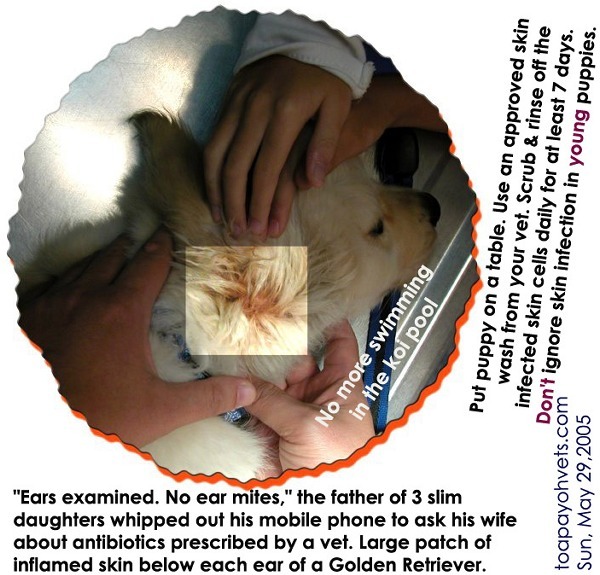 Was it the groomer's mistake or the ear solution allergy? 267. Jun 4, 2005. Pain and swelling in ear canal after grooming. 266. Jun 4, 2005. 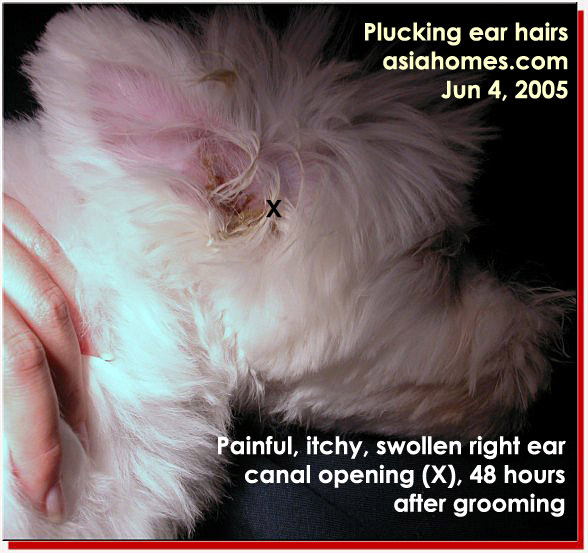 Pain and swelling in ear canal after grooming. Gas anaesthesia. 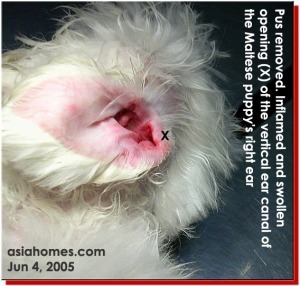 Ear pus removed. 265. Jun 4, 2005. 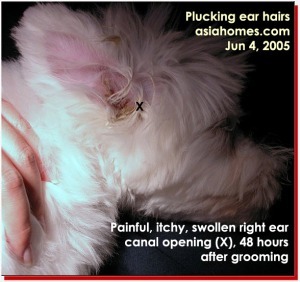 Pain and swelling in ear canal after grooming. 264. May 30, 2005. 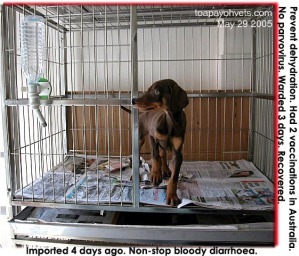 The pet shop operator was wise to refer to the vet rather than sell some diarrhoea medicine. 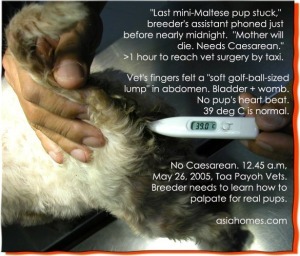 The puppy would have died of severe dehydration. 263. May 29, 2005. Were ears infected and became tchy because the Retriever puppy swam in a koi pool? 262. May 28, 2005. 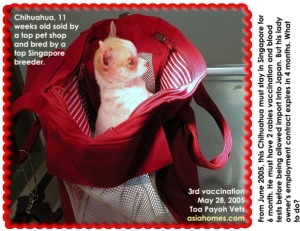 Last 2 of 6 months, the puppy can be quarantined in Narita, Japan but it costs S$3,600 ! 261. May 26, 2005. 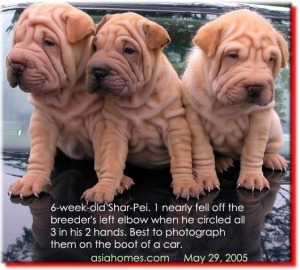 My heart stopped when 1 Shar-Pei plunged through the hole of the breeder's elbow as he grabbed all 3 for a picture. It was saved. 260. May 26, 2005. No last puppy but breeder's assistant was not sure.